Will it affect the FL environment? After extensive testing on dozens of options, we determined that PAR Turf series best simulates natural grass surface. If you've ever putted on synthetic turf before, you probably noticed a "wobble" as the ball came to a rest. Not with Putters Edge PAR turf! Our special "tufting" process has eliminated the "wobble" - plus, there is no grain in our proprietary nylon PAR turf, allowing putts to roll the same speed in every direction! The difference between PAR turf fibers and other synthetic golf turf begins with the manufacturing process. Our specially designed spring set nylon turf fibers are manufactured to interlock with each other, creating a realistic look and feel. The older style sand-filled polypropylene turfs require deep sand infill to support the fibers. Sand-filled putting greens can become hard, messy, very grainy, and require additional maintenance. PAR Turf™ requires no deep sand in-fill. The stimp speed will depend on the turf you choose and the primary purpose of the green. Mimicking high-end championship greens, our PAR Tour rolls to an 11.5 on the Stimp Meter. Our PAR 2 Plus rates a stimp of 10.3 which more closely replicates the roll on a typical course. And our PAR 2, which can hold a shot from 25 yards, stimps at 9.5. How well does Home Putting Solutions turf hold up outdoors? Home Putting Solutions' turfs are assembled using the finest UV-treated polypropylene & nylon, water-resistant fibers. Our turf carries a 10 year limited warranty against excessive wear and fading, and resists normal rain, snow, wind, freeze and sun. Home Putting Solutions putting green turfs have been installed everywhere from the freezing climates of Canada, the humidity of Florida, and of course the intense heat of our beloved Florida. 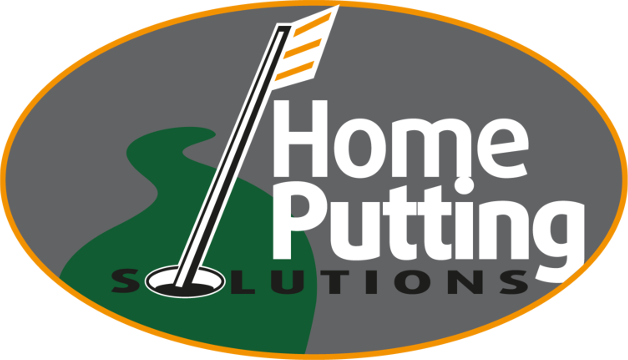 Home Putting Solutions putting greens can be easily replaced, but that shouldn't be necessary for many years. Putters Edge PAR Turf synthetic nylon turf is the strongest putting turf available and the matting-resistant fibers continue to bounce back to their original position. Can a Home Putting Solutions green be sculpted with breaks? Yes, your new putting green can be fully sculpted with breaks & undulations! We will help you customize the green to your specifications... as smooth or unusual as you like, in just about any size or shape. It's all up to you. We will walk you through the artificial putting green design process. Which regions does Home Putting Solutions service? Short answer? We provide golf and putting green turf and installation, synthetic sports turf and artificial lawns for front yards, backyards, landscaping and patios to South Florida, the Caribbean, and the Midwest United States. See our full map of servicing areas for more details. It's easy! Just email or call us to begin the process. We'll come to your location for a free consultation where you can see and experience our synthetic putting turf and we can take a look at your designated putting green location and collaborate on your ideas. There are lots of artificial turf companies in Florida and the Midwest — we strive to exceed your expectations with our customer service and our ability to design/build the perfect putting green for your environment and needs. Depending on the size and location of your putting green, complete base-building &synthetic turf installation generally takes 2-4 days. Absolutely - they are perfect. Whereas natural grass lawns are difficult to keep looking nice with frequent play by children and pets - a Home Putting Solutions artificial grass lawn system will always look perfect and will withstand the impact of heavy use. Our lawn turfs drain, so that water and pet accidents will wash right through. The synthetic turf fibers and the infill are made of materials that will not absorb or retain pet waste odors. Your synthetic lawn can be washed with a garden hose and a periodic raking will ensure that the blades are standing up nicely - the perfect lawn. Will the lawn fade under our intense Florida sun? Our synthetic grass lawn turfs carry an 8-year warranty against excessive fading. The artificial lawn blades have the UV-treatment built into the blade itself - it's mixed with the polyethylene while it's still in liquid form. So, you don't have to apply any type of spray-on UV treatment as with some artificial turf products. Will the turf fade? - technically yes, practically no. The shade of green will change slightly after several years - but you won't be able to distinguish the change with the naked eye. In fact, Home Putting Solutions' synthetic lawn turf actually becomes even more natural looking over time. Home Putting Solutions' lawn turfs come with an 8-year limited warranty. Under normal residential conditions, the actual life expectancy is 15-25 years. Synthetic lawns & putting greens: Are they good for the environment? Absolutely - an emphatic and resounding YES! Water is a precious resource and we are all well aware of the significant efforts to ensure that we use our water resources wisely. With a Home Putting Solutions synthetic lawn or putting green, you get the functional and aesthetic beauty of a natural-looking grass landscape - without the water consumption. Where can it be installed? Is there flexibility in size and shapes? Your Home Putting Solutions artificial lawn can be installed in just about any location imaginable - including all those places where you would install natural grass. Since synthetic grass lawn turf is installed like carpet, the lawn can be cut to fit or shape any areas - around pools, flower beds, decking, walkways, etc. There are virtually no limits to where your new artificial lawn can be placed and how it can be shaped.